In the UK it is summer, which means we are in the middle of festival season! Since it is festival season, TickPick contacted me and asked me if I would share with you my dream festival line up. So, today's post is a collab with TickPick, they are an online marketplace which helps you save money on tickets for concerts and allows you to name your own price for the tickets you want, sadly this currently doesn't work in the UK, so TickPick is something I recommend to my American reader to have a look at. Also, TickPick asked me for my lineup and then designed this amazing graphic, which looks like a festival poster. Now, onto my fauxchella line up! 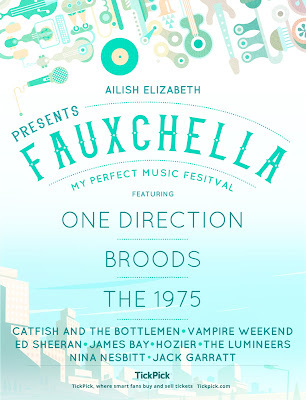 The first headline act for my fauxchella is One Direction, obviously. I know they are on a 'hiatus', but this is my dream festival, so they are going to be there. I love One Direction, for those who don't know, and I have saw them four times, so I am a huge fan and I would love to go and see them again. They are not really a band who play at festivals, but if they played their popular songs I am sure the crowd would love them. Another band, however these are a bit different. If you have read my blog for a long time, you will know I love Broods, they are an amazing band. They are a brother sister duo and they have a really lovely sound, and I think they would sound great live. Troye Sivan also has a song with them, so if he feels like it he can come and perform with them too. This is a band that have been at many festivals this year, and they put on such a good performance, especially Matty. I watched their performance at Glastonbury and it was incredible, I would love to see them live, so that is why they are on my line up for my fauxchella. Another band in my festival, also watched their performance at Glastonbury, which made me wish I was there. I think these would be really good live and would get the crowd going, and also I feel like everyone would like them. As you can tell I really like listening to bands, and Vampire Weekend are another band I would love to see live. Again, I feel like the crowd would love them and everyone knows at least 2 or 3 of their songs and would be able to sing along. One of my favourite song by them is Diana Young. I think Ed Sheeran would be a headline act, but just in the order I wrote it he ended up not being. Again, everyone loves Ed Sheeran and everyone sings along with him. I would try and make him sing some of my favourites, such as So, I see fire and Even my Dad does Sometimes. Again, someone who everyone loves and everyone wants to see live and I think he would also get the crowd singing. I don't know anyone who doesn't love James Bay, I've loved him for a few years now and would love to see him live. I love Hozier, I think he is an amazing singer, and I love to listen to his music, especially his new song for Tarzan. I was so sad at the start of this year, I was going to get tickets to see him and they had sold out, so that is why I would like him at my dream festival. 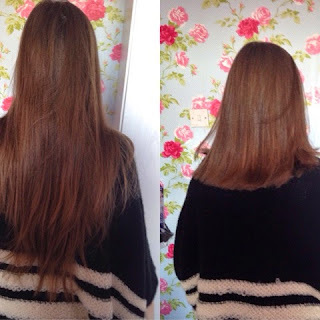 Back to bands. I love this band, and think they are amazing, I also watched their performance at Glastonbury and they were amazing, and would just sound great live, so they are coming to my dream festival. I think Nina Nesbitt may be one of my all time favourite female singers. I have saw her live once, when I went to see The Vamps on their tour in 2014, I think, and she was amazing, even though she only sang I think 2 or 3 songs. I love her new music, especially Brisbane. The final act performing at my festival, is Jack Garratt, he is just such a fantastic artist. I started to listen to him, maybe this time last year, I listened to his EP Remnants, and I loved it, especially Worry, and everyone knows that now and loves it. Another song by him that I love is Surprise Yourself, it was one of my favourite songs off his album, and it is his new single, I think and it is also in Me before You. 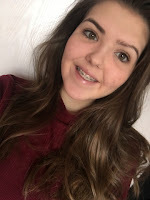 I hope you guys liked this post, it is a bit different to my normal post, but you have found out who I would want at my festival and also you know some of my favourite artists. Also, for my american reader, remember to go and check out TickPick.